Hydra Engineering & Construction is the Prime Contractor, located at MCSF, Blount Island Command, Jacksonville, Florida. Hydra is responsible for a purpose build brow stand supported by a reinforced concrete foundation and stairs. In addition, concrete pavers with an unreinforced concrete transition from the road were also constructed to support parking of vehicles. Hydra Engineering & Construction was the Prime Contractor for this project located at NAS Pensacola, Florida. Due to the depression developing in the floor systems of the meat freezer, Hydra’s work included removal of all existing flooring components to the original concrete slab, removal of existing cove base tile, quarry tile, existing mortar bed material and removal of floor insulation. In addition, Hydra installed new flooring material that matched previously repaired floor sections, installed thick plastic vapor barrier, two layers of 2” insulation, mortar bed material, new cover base tile and applied coating to finish flooring. 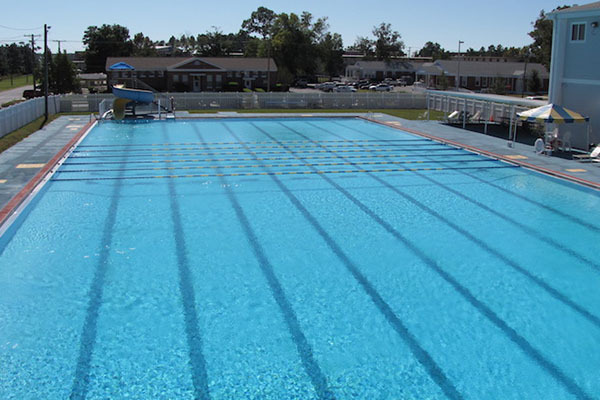 Hydra Engineering & Construction was the Prime Contractor for the repairs of the pool deck located at the Aviation Survival Training Facility in Pensacola, Florida. Hydra replaced the doors and frames to the pool area and sanded, sealed and painted the remaining door frames, handrails, uniform racks, ladders, support columns and support columns angle. Hydra also repaired one of the leaking internal roof drains. 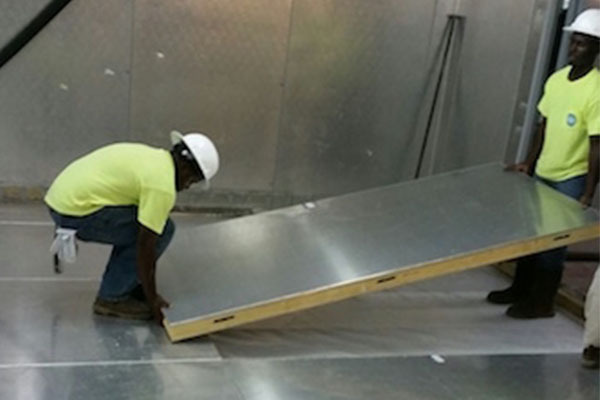 This Design/Build project is Phase II of a facility energy improvement project within multiple buildings on the MCLB Albany, Georgia. 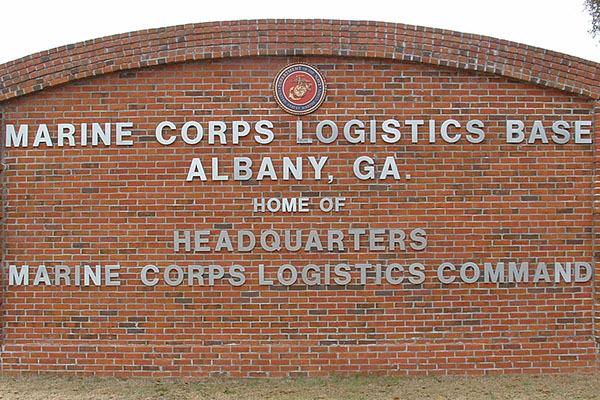 MCLB Albany is in the process of developing projects to meet the goal of a 30 percent reduction in its energy use. Energy improvements included, but were not limited to, installation of occupancy sensors, thermal insulation, high efficiency plumbing fixtures, programmable thermostats, premium efficiency motors and variable frequency drives. 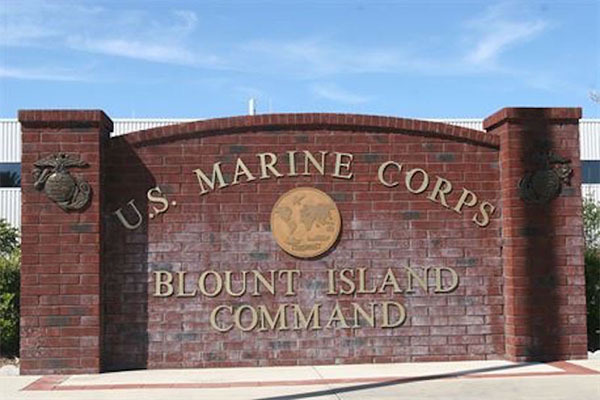 This project was located at MCSF, Blount Island Command in Jacksonville, Florida. Hydra was responsible for the demolition and repaving of the Building 104 parking lot. It also included improving the storm drainage on the adjacent gravel parking area. 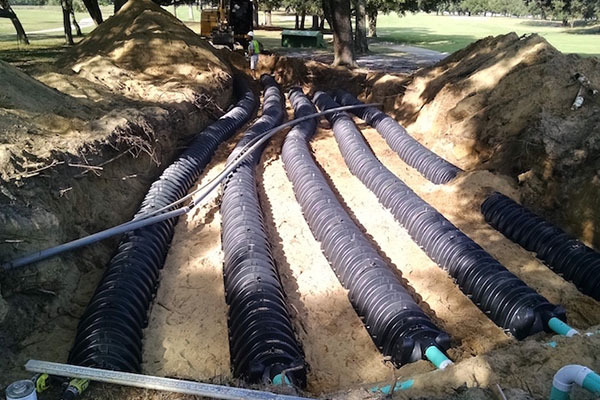 This project is located adjacent to Building 2698, Golf Course Concessions Stand at NAS Pensacola, Florida. Hydra was responsible for pumping out the existing septic tank, cleaning the existing drain line, installing a new septic field and restoring the vegetation at the site. 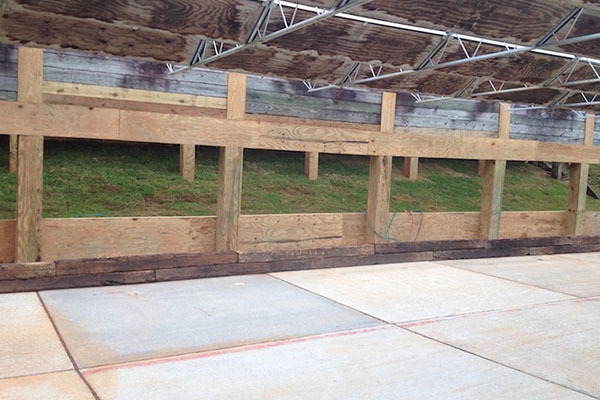 This project was located at NAS Whiting Field in Milton, Florida. Hydra was responsible for the lead removal and disposal at the Small Arms Range and restoring the vegetation at the site. fence in Bay 4 was floor to ceiling and incorporated new lights, power outlets and communications. This project used Hydrostop Premium Coat multilayer system to repair over 108,000 sq ft of roofing on Buildings 2200 and 2202 at MCLB Albany, GA. Roof types were modified bit and metal roof. This system when complete, will provided a 25 year warranty and greatly enhance the usability of these buildings. The objective of this project was to provide softened water utilizing ion exchange treatment to building 3700 on MCLB Albany to prevent scaling and clogging of newly installed low flow plumbing fixtures. The current building has installed low-flow water fixtures that are clogging due to the particulates in the domestic water system. Hydra installed a water treatment system to remove those particulates in order to improve domestic water flow throughout Building 3700. The new Water Treatment Facility is a one room building addition constructed as an appendage on the west side of Building 3700. The room included a brine tank, two resin tanks, a new backflow preventer with service lighting, durable finishes, and constructed over the existing backflow preventer. Construction included a floor and foundation of cast in place concrete strip wall footings and a slab on grade floor, exterior load bearing walls of 8- inch CMU, cavity wall insulation, waterproof wall membrane, 4-inch brick veneer, with a roof constructed of galvanized cold formed metal roof trusses, metal roof deck, rigid roof insulation above with weather barrier membrane, and standing seam metal roof system. Details reflected the same character, style and quality as the existing Building 3700.
overhead bus support structures foundations to six inches below grade, remediate soil due to voltage regulator oil spill, provide remote operation of utility connection protection and isolation devices, and provide device protection for voltage regulators in main substation. A fire occurred to the Main Substation at MCLB – Albany that required Hydra to provide preventative maintenance services to the 12.47kV power distribution equipment. 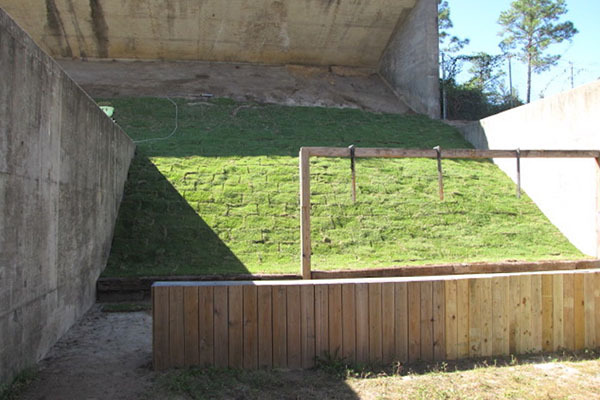 Hydra Engineering & Construction was responsible for the removal and disposal of lead from the pistol, rifle and shotgun shooting range located at NAS Pensacola. Hydra’s workers had to maneuver the tractors into small places, while at the same time being environmentally sensitive in removing the lead. Hydra’s work included soil sifting, backfilling, compacting, soil restoration and revegetating the site. Hydra used a lead recycling company to properly dispose of the lead. Hydra Engineering & Construction was responsible for cleaning the Diesel Fuel Tanks and fuel in each of two 20,000 gallon tanks for the Naval Hospital in Pensacola, Florida. The work was able to be performed without shutting down the fuel system for the Hospital. The building in which the fuel oil tank system for feeding the boilers was constructed in 1975 and is currently used as a Boiler Plant Building for the Naval Hospital. Hydra Engineering & Construction was the Prime Contractor and Engineer for the design and construction of a 3 acre Reset Storage lot on the MCLB Albany. 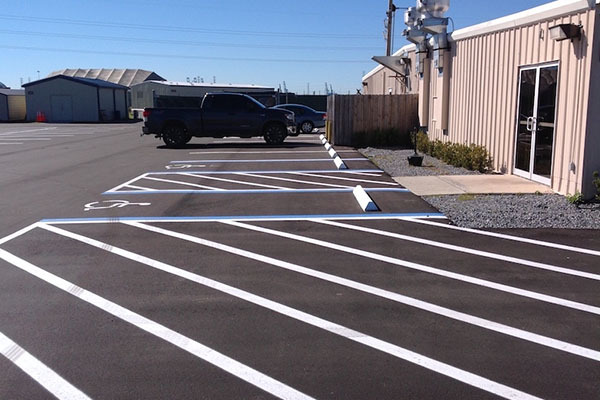 The parking lot was constructed of a pervious pavement called Strata to reduce stormwater runoff from the parking area. The project was permitted through Georgia Department of Natural Resources for the State’s Erosion & Sedimentation Standards. Hydra Engineering & Construction installed 3 new flag poles at building 3700 on the MCLB Albany. The first flagpole which was centered on the building stood at 70 feet tall. It was placed in between two beautiful magnolia trees. The other two, which stood 20 feet tall, were placed at each entrance on the east and west side of the larger flag pole. 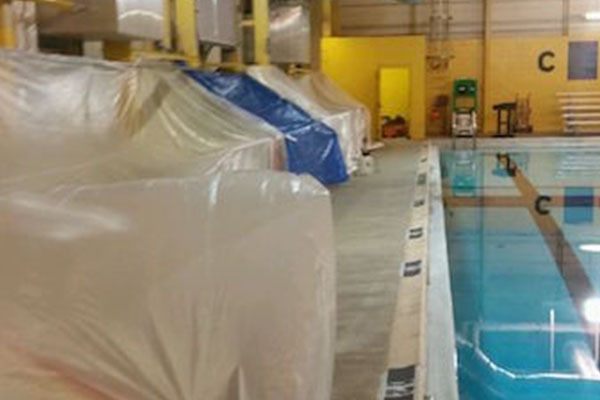 Hydra Engineering & Construction was the engineer and contractor to provide an economical and environmentally responsible heating system for the 600,000 gallon training pool at NAS Whiting Field. It also included removing the existing chlorine disinfection system, installing a salt-water disinfection system, reducing the depth of the shallow end of the pool and replacing the pool liner.